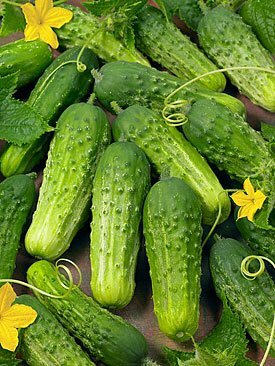 Cucumbers are so refreshing in a salad, great pickled and just fun to plant. HOW IS A CUCUMBER SEED PLANTED? You can plant seeds in the ground after any danger of frost has passed. Space your rows 4 to 5 feet apart, with a plant every 2 to 4 feet in the row. Cucumbers don't like to be crowded, so make sure to thin out. Work well rotted manure into the soil prior to planting. Cultivated the soil and pick off any weeds. Mulch between the rows to keep the weeds at bay until the vine starts to spread out. SHOULD CUCUMBERS BE PICKED REGULARLY? The more you pick cucumbers the more fruit will be produced. If fruits are allowed to mature vines will stop producing. CAN CUCUMBER PLANTS BE TRANSPLANTED? Cucumbers may be started from seed indoors and then transplanted into the ground. Take care not to disturb the roots when transplanting. 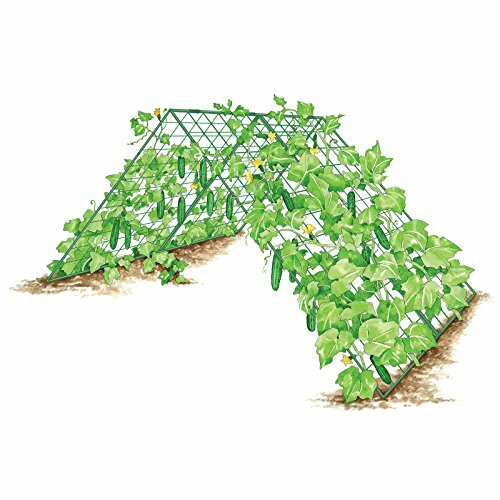 Deluxe Cucumber Trellis $49.95 Gardener's Supply Co.
SHOULD CUCUMBERS BE TRAINED TO GROW UPRIGHT? Cucumbers can be trained to grow on a fence or over a wall. However most commonly the vines are allowed to run on the ground. CAN CUCUMBERS BE PLANTED NEAR MELONS? Yes, no crossing will occur. WHen muskmelons taste like cucumbers, it's likely because of poor soil conditions, poor varieties or diseased vines. If the vine is well established the leaves will protect the fruit from sun damage. SHOULD CUCUMBERS BE PICKED WHEN FOLIAGE IS WET? WHAT MAKES CUCUMBER VINES TURN YELLOW BEFORE ALL FRUIT IS MATURE? Cucumbers are subject to several leaf and vine diseases. When the plant gets wet, the disease is spread more easily. Disease is best kept under control, by taking off affected leaves and rotating the area where seeds are planted. WHY DO CUCUMBER VINES DIE TOO SOON? Bacterial wilt, scab, anthracnose, and angular leaf spot can kill a vine. Check your vines often for diseased vines. WHERE DO CUCUMBER BEETLES COME FROM? Cucumber beetles pass the winter as adults. Some are in the garden under old cucumber or melon vines and unharvested fruits. The beetles come out of hibernation around May and fees on weeds while waiting for the cucumbers and melons to start growing. Bacterial wilt is recognized by discoloration and wilting of the leaves. Try to control the striped cucumber beetle to prevent spread of wilt. 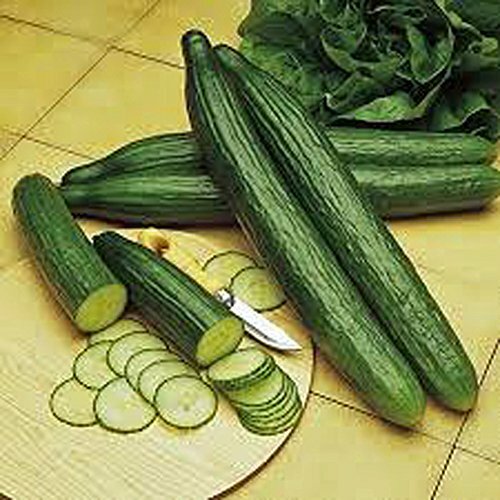 WHAT ARE GOOD VARIETIES OF SLICING CUCUMBERS? Straight Eight, Marketer and Colorado. WHATS A GOOD PICKLING VARIETY? For small pickles use National, Snow, Double Yield, Chicago.